We present a new method to estimate shear measurement bias in image simulations that significantly improves its precision with respect to the state-of-the-art methods. This method is based on measuring the shear response for individual images. We generate sheared versions of the same image to measure how the shape measurement changes with the changes in the shear, so that we obtain a shear response for each original image, as well as its additive bias. Using the exact same noise realizations for each sheared version allows us to obtain an exact estimation of its shear response. The estimated shear bias of a sample of galaxies comes from the measured averages of the shear response and individual additive bias. The precision of this method supposes an improvement with respect to previous methods since our method is not affected by shape noise. As a consequence, the method does not require shape noise cancellation for a precise estimation of shear bias. The method can be easily applied to many applications such as shear measurement validation and calibration, reducing the number of necessary simulated images by a few orders of magnitude to achieve the same precision requirements. Authors: A. Pujol, F. Sureau, J. Bobin et al. We present a study of the dependencies of shear and ellipticity bias on simulation (input) and measured (output) parameters, noise, PSF anisotropy, pixel size and the model bias coming from two different and independent shape estimators. 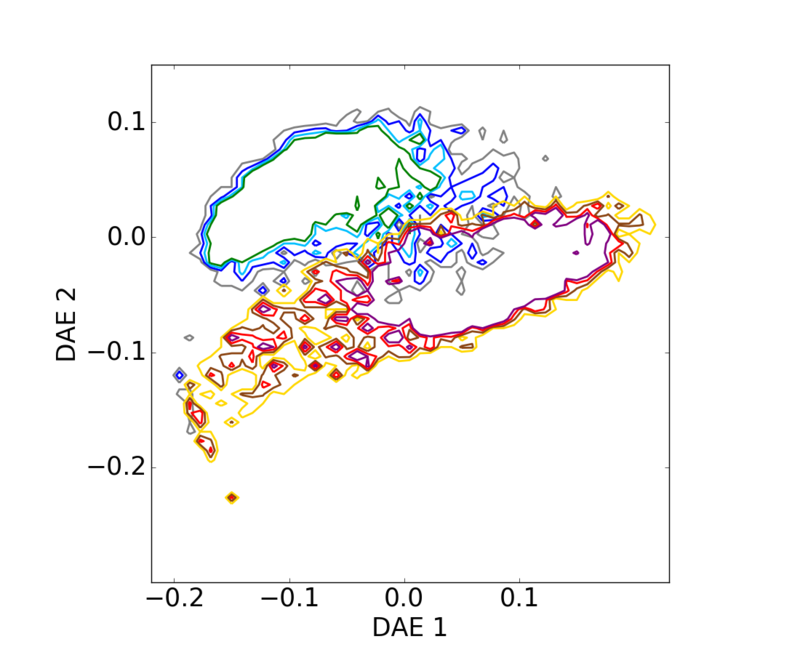 We use simulated images from Galsim based on the GREAT3 control-space-constant branch and we measure ellipticity and shear bias from a model-fitting method (gFIT) and a moment-based method (KSB). We show the bias dependencies found on input and output parameters for both methods and we identify the main dependencies and causes. We find consistent results between the two methods (given the precision of the analysis) and important dependencies on orientation and morphology properties such as flux, size and ellipticity. 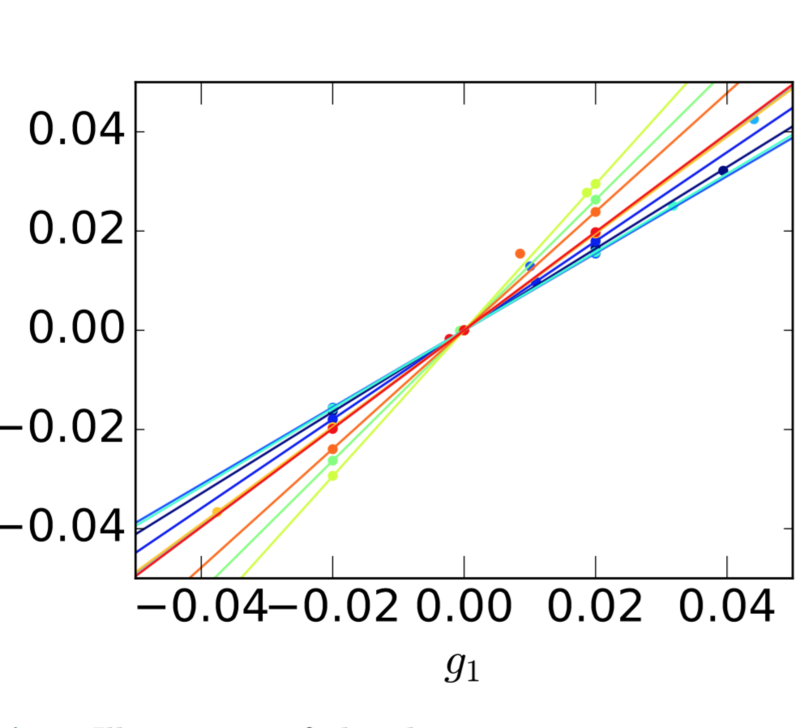 We show cases where shear bias and ellipticity bias behave very different for the two methods due to the different nature of these measurements. We also show that noise and pixelization play an important role on the bias dependences on the output properties. We find a large model bias for galaxies consisting of a bulge and a disk with different ellipticities or orientations. We also see an important coupling between several properties on the bias dependences. Because of this we need to study several properties simultaneously in order to properly understand the nature of shear bias. Authors: Frontera-Pons, J., Sureau, F., Bobin, J. and Le Floc'h E.
With the increasing number of deep multi-wavelength galaxy surveys, the spectral energy distribution (SED) of galaxies has become an invaluable tool for studying the formation of their structures and their evolution. 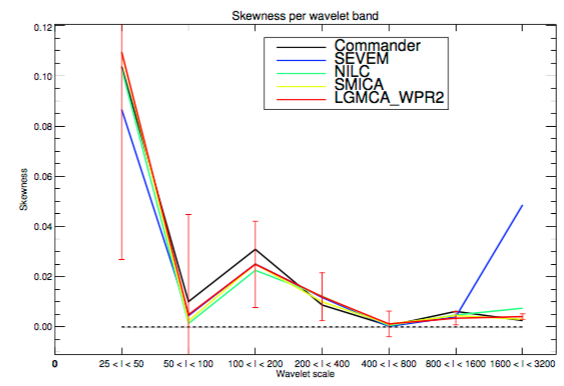 In this context, standard analysis relies on simple spectro-photometric selection criteria based on a few SED colors. If this fully supervised classification already yielded clear achievements, it is not optimal to extract relevant information from the data. 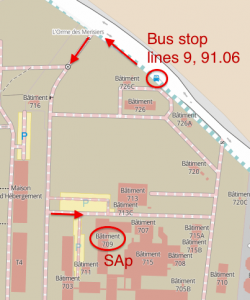 In this article, we propose to employ very recent advances in machine learning, and more precisely in feature learning, to derive a data-driven diagram. We show that the proposed approach based on denoising autoencoders recovers the bi-modality in the galaxy population in an unsupervised manner, without using any prior knowledge on galaxy SED classification. 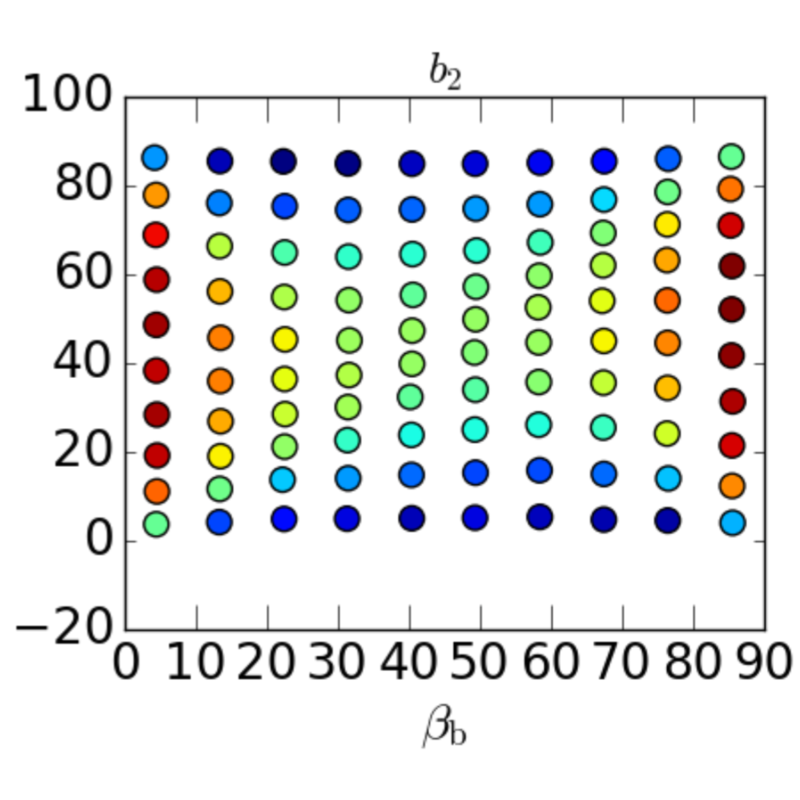 This technique has been compared to principal component analysis (PCA) and to standard color/color representations. In addition, preliminary results illustrate that this enables the capturing of extra physically meaningful information, such as redshift dependence, galaxy mass evolution and variation over the specific star formation rate. PCA also results in an unsupervised representation with physical properties, such as mass and sSFR, although this representation separates out less other characteristics (bimodality, redshift evolution) than denoising autoencoders. In this article, we describe a new estimate of the Cosmic Microwave Background (CMB) intensity map reconstructed by a joint analysis of the full Planck 2015 data (PR2) and WMAP nine-years. It provides more than a mere update of the CMB map introduced in (Bobin et al. 2014b) since it benefits from an improvement of the component separation method L-GMCA (Local-Generalized Morphological Component Analysis) that allows the efficient separation of correlated components (Bobin et al. 2015). Based on the most recent CMB data, we further confirm previous results (Bobin et al. 2014b) showing that the proposed CMB map estimate exhibits appealing characteristics for astrophysical and cosmological applications: i) it is a full sky map that did not require any inpainting or interpolation post-processing, ii) foreground contamination is showed to be very low even on the galactic center, iii) it does not exhibit any detectable trace of thermal SZ contamination. We show that its power spectrum is in good agreement with the Planck PR2 official theoretical best-fit power spectrum. Finally, following the principle of reproducible research, we provide the codes to reproduce the L-GMCA, which makes it the only reproducible CMB map.